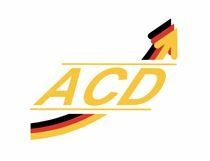 The renowned Air Cargo Club Germany (ACD) launches a new format: Instead of usually discussing cargo topics in conference rooms, the association’s next meeting takes place within the Perishable Center located at the air side of Rhine-Main Airport. This way, participants not only get first-hand information provided by pharma experts but get enduring impressions as well, the organizer claims. Pharmaceuticals – that is a collective term commonly used as an umbrella name for a large number of individual and often very different single drugs or medicines such as antibiotics, pills, barbiturates, insulin, vaccines or even the fast spreading range of modern healthcare products. Apart from their diversity, all of them need a specific climate fitting their individual needs, adequate packaging and tailored transport solutions, professional attention given by ground handling agents and utmost care along the entire supply chain from origin to destination. So far so good. The crucial question is, however, if airports are sufficiently equipped with cool rooms offering a different temperature ambient for storing pharmaceuticals temporarily if needed. Another often complained about issue is the lack of sufficiently trained ground personnel to handle the sensitive products according to their specific demand. Finally, incorrectly filled out documents accompanying pharma shipments can be another source of faulty treatment at airports or within warehouses. 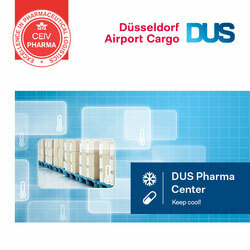 These and other pressing issues will be discussed on 21 March during the ACD Forum Pharma Logistics, taking place within the Perishable Center at Frankfurt Airport. The event starts at 2 pm and ends at 8 pm, the admission is free. Personal ID documents are required since the Perishable Center is located within the security area. According to Stoller, the event will focus on innovative solutions for this new growth segment. “By sending temperature sensitive goods from one climate zone to another, the quality and integrity of products can be affected by a lack of adequate control mechanisms. To eliminate these risks, GDP-requirements were implemented and have to be fulfilled,” emphasizes Andreas Seitz, Managing Director of DoKaSch Temperature Solutions. 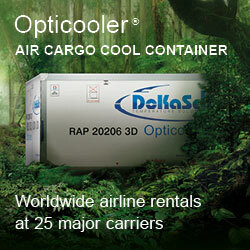 His Frankfurt-based firm oversees the flow of an entire armada of active and passive cool containers on behalf of cargo carriers. In a nutshell, the upcoming ACD Forum on pharma offers manufacturers, users, service providers, scientists and industry representatives a comprehensive platform for mutually exchanging information and knowledge. Important cross-cutting issues that are of major importance for the current and future design, acceptance and marketability of pharmaceutical logistics will be tabled as well. These include framework conditions, the viewpoint of manufacturers and shippers, insights into processes and certifications, the role of insurers, providers of transport solutions and technologies as well as infrastructure providers. The main topics will be presented on the basis of practical experience and achieved results. So, it is worth taking part in the event, Stoller stresses, in promoting the ACD’s Pharma Forum.